ZIMBABWE will present a financing programme to the International Monetary Fund by November this year after clearing its arrears, opening the door to receiving its first loan from the Fund in nearly two decades, finance minister said on Friday. Patrick Chinamasa told reporters that he was optimistic an IMF executive board meeting on May 2. would accept Zimbabwe’s plan to pay $110 million in arrears to the Fund. Another $1.7 billion would then be paid to the African Development Bank and World Bank. Zimbabwe has not received a loan from the IMF since 1999. President Robert Mugabe agreed last month to major reforms, including compensation for evicted white farmers and a big reduction in public sector wages. Those reforms are expected to be part of a new financing programme. 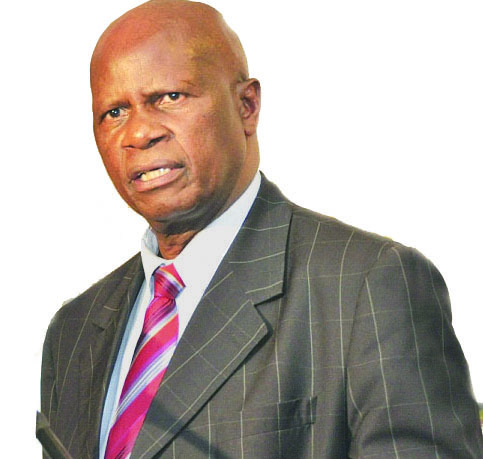 “Between September and November Zimbabwe will work feverishly to come up with a new country financing programme, on the basis of which we hope, if we clear our arrears, we should get new financing,” Chinamasa said. Reserve Bank of Zimbabwe governor John Mangudya said on March 16. he expects a loan from the IMF in the third quarter of this year, after paying off foreign lenders by the end of June.